Playing a violin can be hard work! While playing, violinists are using their eyes to read music, using their ears to listen to the rest of the ensemble, using each arm and hand in completely different ways, and using their core strength to stand or sit up straight. 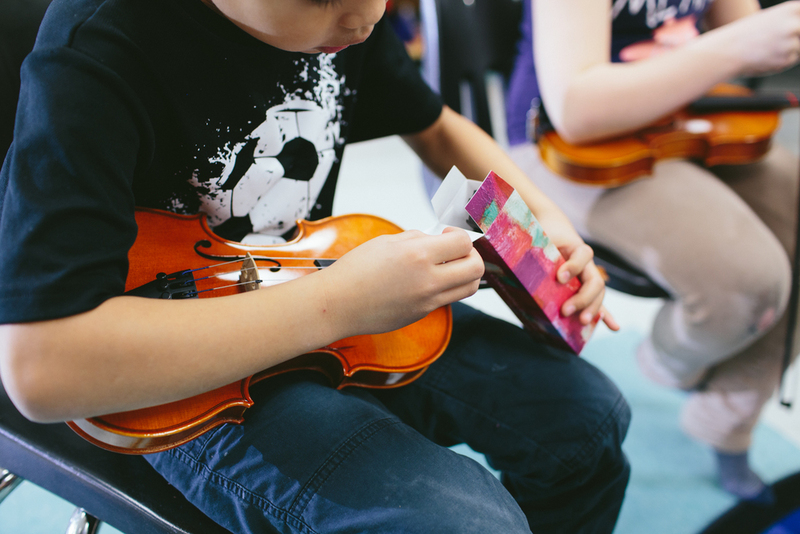 To help our YONA violinists maintain proper posture and playing position, we cut sponges for them to place between their violins and their shoulders. Having a support in that position not only helps violinists to hold their violins properly, but also helps to increase their comfort while standing and playing in (to be honest) a pretty awkward position. Most young violinists begin with a sponge in this position, and eventually, once they demonstrate commitment to the instrument, they graduate to a real shoulder rest, built specifically for this purpose. On February 23rd, our YONA violinists got their very own set of shoulder rests, courtesy of Kun Shoulder Rest Inc. 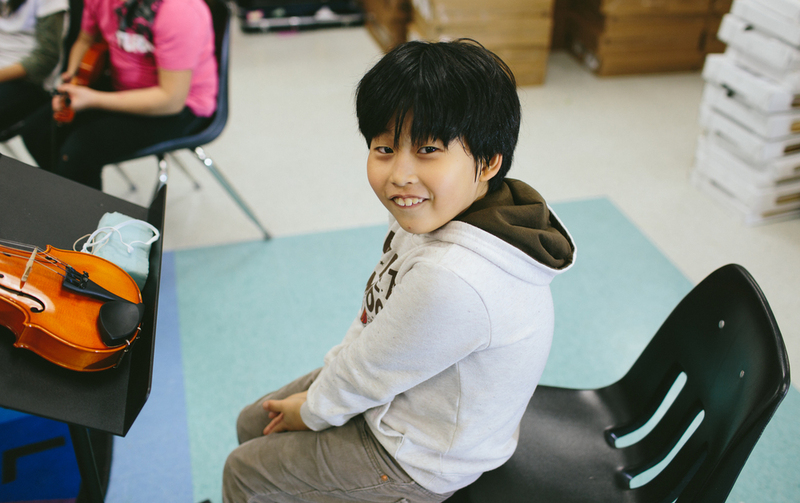 This Canadian company based in Ottawa is known for selling extremely high quality shoulder rests, and was generous enough to donate shoulder rests for each of our students. Thank you, Kun, for your support of our program!! You can see from these photos just how excited our students were to receive them. We've already noticed a difference in their posture, and can't wait to see how having these tools affects their playing!